Last week I wrote about our findings concerning people’s attitudes towards privacy and sharing of the types of personal data that the Beancounter (NoTube’s user profiling service) can collect. This blog post is going to focus on some early reactions to the Beancounter user interface itself. The live version of the Beancounter wasn’t quite ready for testing last week, so Lora, Christoph, and I showed the Beancounter design mock-ups to our workshop participants (two women and five men, all aged in their twenties) to get some initial feedback. Based on these discussions we’ve drawn up the following list of our overall impressions, from which we can tentatively draw a few high-level conclusions. Given the small size of the group (and that all the participants are of a similar age), many of these comments are still somewhat speculative, and are intended to form the basis of possible future research directions, rather than as statements of definitive outcomes. The analytics part of the Beancounter was originally intended as a potentially interesting by-product of the user profiling, rather than its main focus. However, since data visualisation on the Web seems to be such a hot topic at the moment, we were keen to find out what participants thought about our ideas for presenting the data the Beancounter collects as a variety of charts and graphs. Whilst there were some aspects of the presentation they liked (or at least liked the intention behind), on the whole our participants didn’t really think they would find these kinds of analytics particularly interesting. Several mentioned that they thought the graphs and charts were a bit too ‘geeky’, ‘mathematical’, and ‘technical’. And, bearing in mind this feedback was from young academics working in the field of computer science, we might expect this group to be relatively favourable to this kind of presentation compared with the general population! We had a short discussion about whether discovering surprising or interesting facts about the things you’ve done by seeing an aggregate of them (e.g. how frequently you watch the same things, or that you watch fewer educational programmes than you thought) could prompt you to change your future viewing behaviours. The group was roughly 50/50 split in their response to this: one person said they would probably be motivated to watch more educational programmes, another said it definitely wouldn’t change what she watched, even though she knew she was wasting time. As mentioned in part 1 of this blog post, the notion of wanting to compare your own TV watching habits with those of your friends, or even people you don’t know, cropped up several times during the workshop. This suggests to us that the ability to compare ourselves to others might be more of a motivational draw than simply seeing our own information in isolation, and so perhaps the Beancounter has some future potential in this direction. 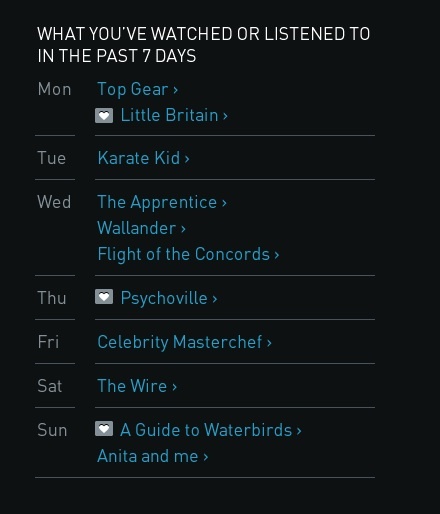 Participants consistently rated the “What you’ve watched or listened to in the last 7 days” list as the most useful part of the Analytics screen, because they saw it as a convenient ‘history’ tool for reminding them about a particular programme or music track that they’d forgotten. 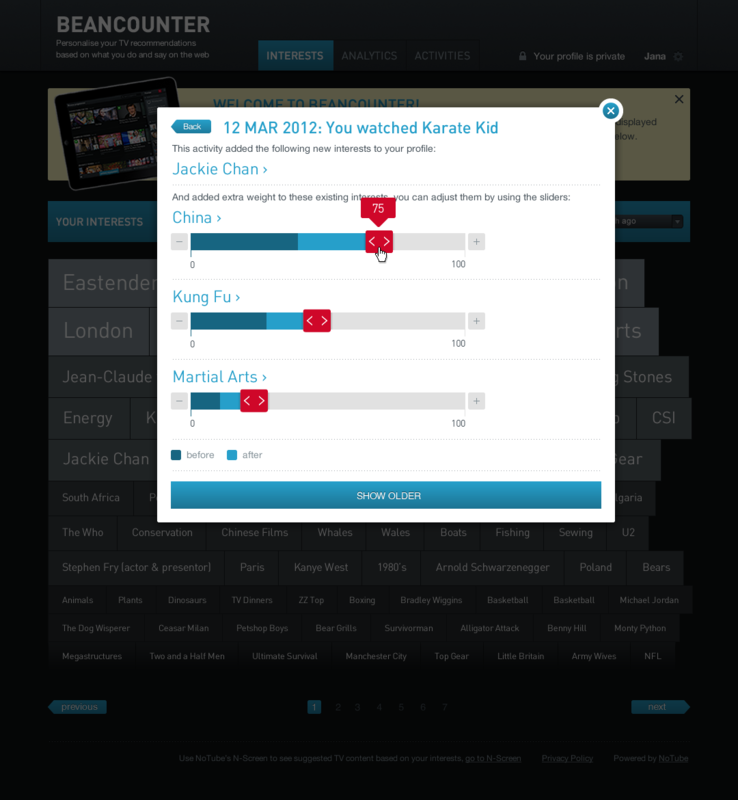 With this design of the Beancounter user interface, we wanted to test how much end-users would be willing or motivated to take part in the recommendations process by fine-tuning their own profiles (for example, manually adjusting the weightings of individual interests, as shown below). On the basis of the reactions of our sample group, it seems there’s currently little appetite for this level of interaction. Our participants were of the opinion that there should be little reason for them to visit the Beancounter user interface, unless it was to delete some information. They expected to be able to correct a bad recommendation in the context of the recommendation itself (in which case they would assume that the Beancounter would automatically update). 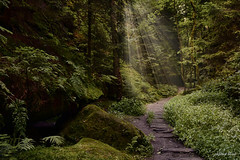 Therefore, whilst the Beancounter user interface might be a useful explanatory tool for making the workings of the Beancounter transparent, it seems unlikely to become a destination in itself. Given generally high levels of concern about privacy of personal data online, as discussed in part 1 of this blog post, we feel there’s still the need for some kind of lighter-weight version of the Beancounter user interface, to build trust and allow users to feel in control of their data. When developing this version of the user interface for the Beancounter we aimed to disclose more detailed information progressively, so that interested users could delve deeper should they wish to, whereas less interested users would not be overwhelmed with too much information. Our initial conclusion from this round of user research is that the next iteration of the user interface should be based on the assumption that the majority of users will only want the most basic scaled-back functionality (including the option to delete or hide specific data), so that nothing about the user experience should feel forced or obligatory. This last point ties in with the challenge identified at the end of the part 1 of this blog post: how to design a user experience that supports people’s need to feel in control of their data without making it overburdensome. Ultimately, the principle overall finding to emerge from our recent user research might be that such a lightness of touch should be applied across all aspects of the Beancounter front-end, and that focus on the interaction design would be more usefully applied to the presentation of the resulting recommendations instead. NoTube’s Beancounter software is a user-profiling service that implicitly determines a person’s most up-to-date interests based on an aggregation of their existing activities on the Social Web. 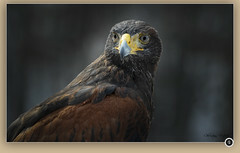 This profile can then be used as input for personalised TV recommendations. During the last few weeks, Lora and I have been conducting some user research to test some of the ideas relating to the prototype. This has involved running an online survey (completed by 130 people) followed by a workshop with seven participants to explore some of the survey findings in more depth. Thank you to everyone who gave up their time to take part in both these activities, and to VU student Christoph Eilers for all his help. As part of the convergence of the Social Web and TV, one of the key issues we wanted to explore is how people feel about trading their personal data in return for more personalised TV services, including those incorporating friends’ data. With the current interest across the Web in data mining of activity and Social Web data as input to recommendations and other personalised services, this is a topic of growing relevance and importance. It is interesting to note that the findings of our research are consistent with previous observations highlighting the paradox that, whilst we’re keen to see what other people are doing, we’re less keen to reveal the same kind of data about ourselves to others. The Beancounter only collects data from sources you’ve given it permission to access (your Twitter, LastFM, and Facebook accounts for example) and it keeps your user profile private by default, unless you explicitly decide to make it public. However, our idea is that by sharing your profile, you’d make it available for comparison – for example, it could be matched with people who have similar or contrasting tastes or behaviours to you . Nearly half of the people in our survey (48%) said they want to know which of their friends have similar TV viewing habits. Unprompted, several of our workshop participants said that, using the Beancounter, they’d like to be able to connect with new people with the same TV interests/habits, and to see which of their friends watch the same things as them. 62% of the people in the survey said they are interested to know what their friends have been watching. When the survey participants were asked about the various different methods they use to find new programmes to watch, 77% of the time they get suggestions from friends, followed by 57% by reading or hearing about a programme mentioned in the news, 38% by browsing the electronic TV guide, 36% by using online recommendations, and 28.5% of the time by reading TV listings magazines. The results of the 2011 Ericsson ConsumerLab study on global consumer trends for TV and Video similarly found that advice from friends and family are the most used and trusted recommendation method for TV content. 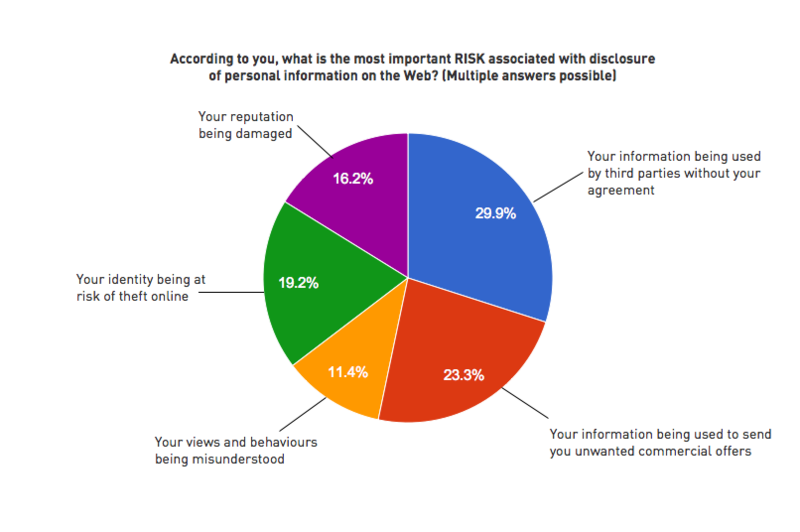 74% of our sample disagreed with the statement that disclosing their data online is ‘not a big issue’ for them. Whilst they are willing to share data about most of the things they do online (their activity data), as shown in the graph below, their preference is to share it only with those closest to them – i.e. their friends and family, not with everyone – or even with everyone in their social networks, as is the case with the current trend for frictionless sharing. There is a strong reported preference for a high level of control over personal data: 94% agreed or strongly agreed with the statement “I want to be able to delete specific activities and preferences”, and 73% with the statement “I want to keep certain programmes I watch private”. Our workshop participants also agreed with these sentiments. These results validate many of the assumptions behind the design of the Beancounter user interface, which keeps all your data private by default, allows you to delete specific activities, and allows you to delete or hide specific interests. We felt these features were important to help protect users from inadvertently making public potentially sensitive or incorrect information that might emerge when previously disconnected pieces of personal data are combined and analysed for patterns. The results are also consistent with initial findings of some recent BBC user testing for the European Future Internet research project. Participants in the study also said they wanted control over their data, even though the perceived privacy risks associated with the data (the BBC programmes they had watched on TV) were relatively low and the perceived benefits, in terms of examples of more personalised future TV services, were relatively high. A general awareness, and concern about, the possible risks associated with disclosure of personal information online. A general sense of wanting to be in control. The feeling that the information shared won’t be of interest or relevant to other people. I may be happy to share selected bits, i.e. a TV show that I think is great, without sharing that I watch the 10 o’clock news! I share music tracks, books and movies *explicitly* if I think they are novel or unknown and deserve promotion. I don’t really like implicit sharing services such as Spotify. I carefully manage the photos, tastes and opinions that I (publicly) share. Websites I visit are private, unless I decide to share them. It’s more interesting to other people to know what you *really* like – i.e. 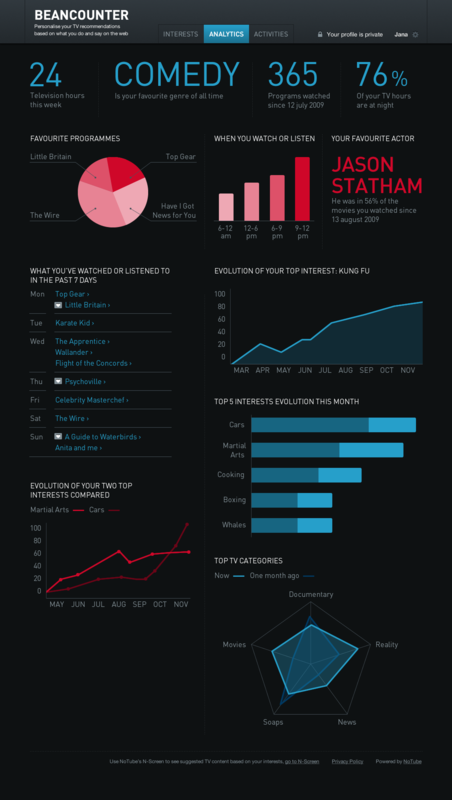 aggregated data, like you’d watched something ten times. Although I’ve said I’d be happy to share most things, I would like to be able to choose certain things. Also, at the moment I purposely don’t share/post these things in social media feeds as the way they’re shared is often very irritating for other people. The need to correct things about ourselves, even if the data is private. I want to be able to delete things I don’t want the system to know about me. My sister already messes up my Spotify listening profile, I don’t want to share it and get useless suggestions. Anxiety about what other people might think or imply about us based on particular activities – e.g. watching specific TV channels with a political bias, gossip programmes, or programmes which might be seen as a bit babyish. Workshop participants also mentioned wanting to keep quiet about watching a lot of TV in the middle of the night, or revealing quite how much TV they watch. My mother always complains that I waste my time watching too much TV of the wrong kind. The right for various things in our past to be forgotten. Personal information, or any information for that matter, tends to change over time. Therefore, there is a risk that disclosed information is no longer valid, and you are not able to change or delete that information. And perhaps, to a lesser extent, the desire to adjust the data to get more accurate recommendations. However, our workshop participants felt that the recommendations should “just work” so it shouldn’t be necessary to tweak! However, as I’ve mentioned before, this requirement for granular control poses some design challenges for the user experience. It seems that there’s a careful balance to be struck between supporting the needs a core group of users by providing the controls they say they want, whilst not burdening less concerned users with too many choices. We explored this idea some more during a card-sorting exercise in which we asked our workshop participants to group which aspects of data about their TV watching behaviours (programmes, channels, genre, time of day, devices, etc.) they’d be willing to share, and with whom (anyone, nobody, friends, family, people in your social networks, etc). It emerged that there was little consensus in the group about this, with each participant having their own individual preferences. 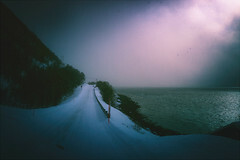 Nobody said they’d be willing to share anything with anyone, or that they wouldn’t be willing to share anything at all. Unsurprisingly, ‘who I’m watching with’ and ‘time of day’ seemed to be considered relatively more private than genres (comedy, sport, factual, etc.) but otherwise there were no significant patterns. However, we seriously wonder whether, in reality, people would actually use these controls as much as they say they would, and this will be a question for future research into the usage of the live Beancounter service. Part 2 of this blog post will look at how our workshop participants responded to the Beancounter screens that represent a user’s profile. These are comprised of the activities collected by the Beancounter, the interests derived from these, and personal data analytics presented as graphs and charts. Please help us with our user research by taking a moment of your time to fill in our survey to collect opinions about the implications of integrating the Social Web with TV; including attitudes to privacy, sharing of personal data, and user control. We’ll be reporting back on on our findings from the survey on this blog soon. Many thanks in advance for your help. 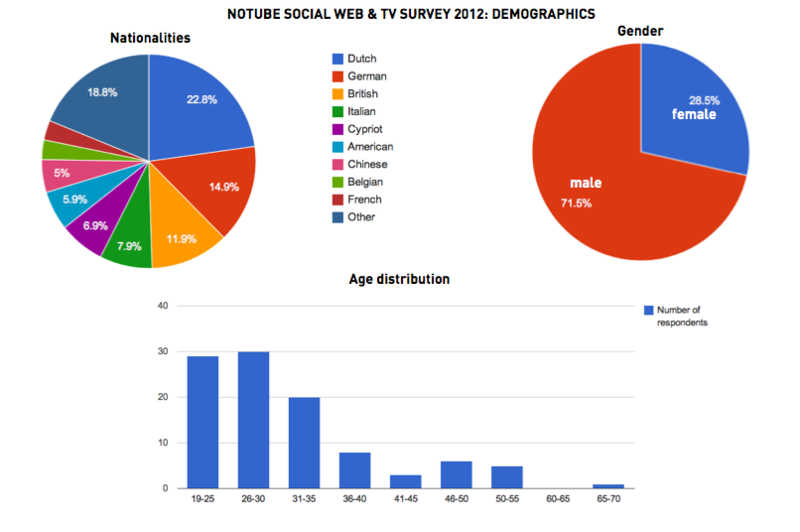 Go to NoTube’s Social Web and TV survey.